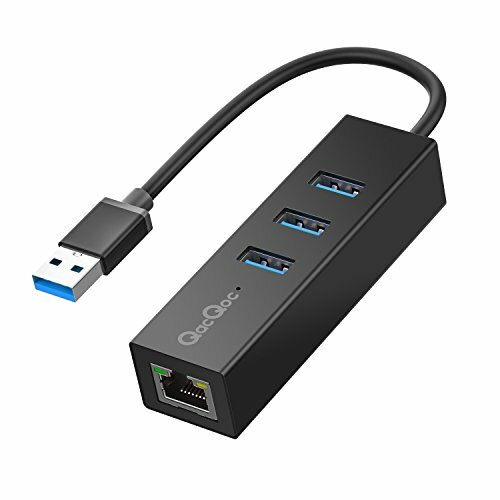 Provides a Gigabit RJ-45 port as well as 3 extra SuperSpeed USB 3.0 ports for additional connectivity. Connect your flash drive, camera, or other standard USB device to access rapid data transfer up to 5 Gbps. 2) Some 2.4Ghz wireless devices (keyboards, mice, etc.) may not work around USB 3.0 ports. Try connecting your wireless device to a USB 2.0 connection. Small and compact with anodized aluminum casing protecting from electromagnetic interference.